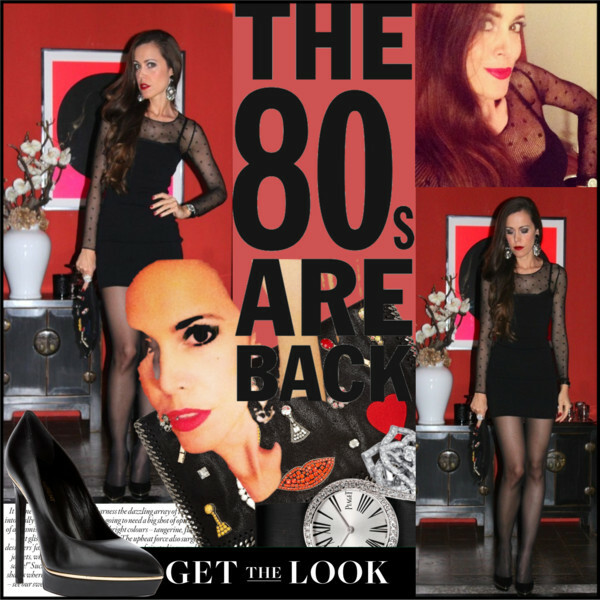 It is a joke, they are not back, but I have to admit sometimes it is fun to look for something ‘Eighties‘ in your closet. Tight mini dresses, big statement jewelry and heavy makeup – this is all you need to achieve the look. Just stay away from those typical bad highlights (if you are not a real blonde, you have to be really careful to choose the right color) to transport the style to the recent decade. You don’t want to look like going to a costume party. Do everything with style! My look: Black mini dress and Janis leather pumps, both by Saint Laurent, Falabella crystal-embellished faux leather clutch by Stella McCartney, earrings by Prada, Limelight gala watch and rose diamond ring by Piaget, stay-ups with bow by Wolford.